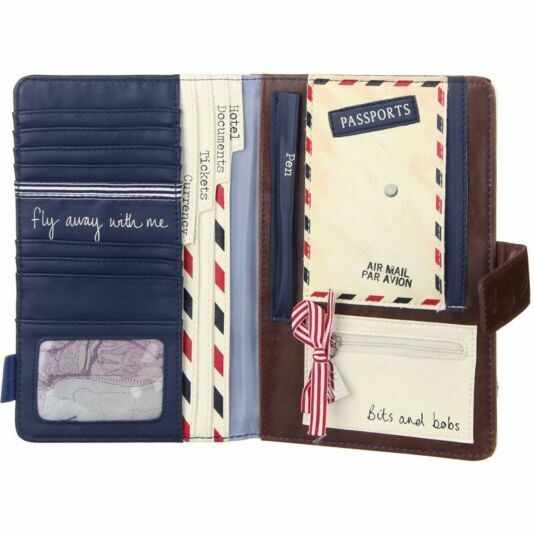 Be organised and stylish with this trusty travel wallet from the Paper Plane range by Disaster Designs. The back of the wallet follows the same theme, there is a small stitched on cream patch which has an envelope with a heart at ‘S.W.A.L.K’ (sealed with a loving kiss’) written on it – so cute! 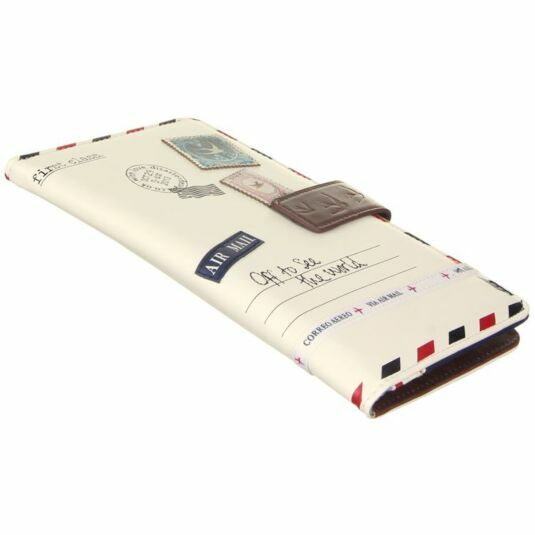 Printed onto the wallet is also ‘FRAGILE’ and in the middle it says ‘AFTER 5 DAYS RETURN TO’ with two empty lines below it for your address, the ribbon from the front of the wallet also carries on round to the back. The wallet has with a brown strap which has three embossed swallows upon it. The strap is secured with a press stud ensuring that all your contents will stay where it needs to be. 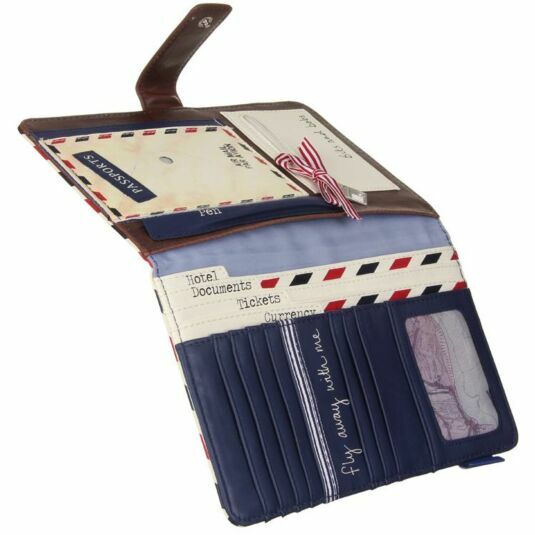 Inside the wallet is lined with a blue fabric with darker blue and brown faux leather sections. There is so much space to store everything you could need! On the left there are four sections for you to put your documents in. These sections are also labelled (so handy!) so you will be super organised! The sections are ‘HOTEL’, DOCUMENTS’, ‘TICKETS’, and ‘CURRENCY’. 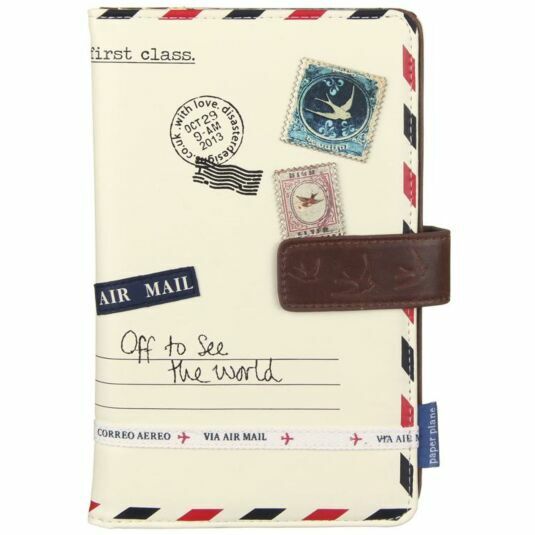 On the left again there are also 8 card slots, one of which has a clear front, perfect for ID or maybe a picture of friends or loved ones that you are going to miss on your travels! 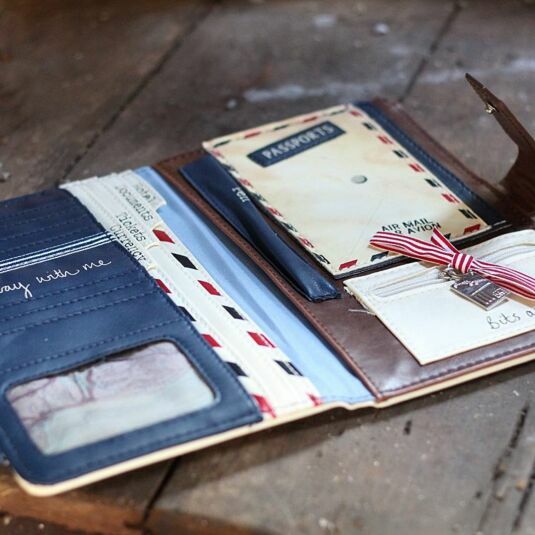 On the right side of the wallet there is one large pocket section, a pen pocket, space for two passports and then a small zipped pocket which says ‘Bits and bobs’ which is perfect for exactly that! 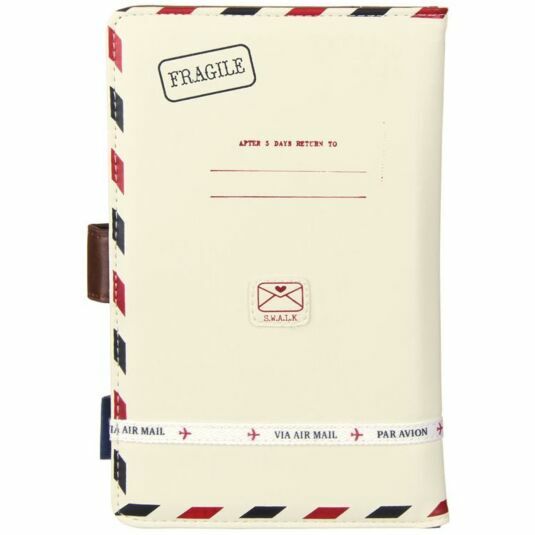 The zip also has a really cute red and white striped ribbon with a silver coloured postcard charm. 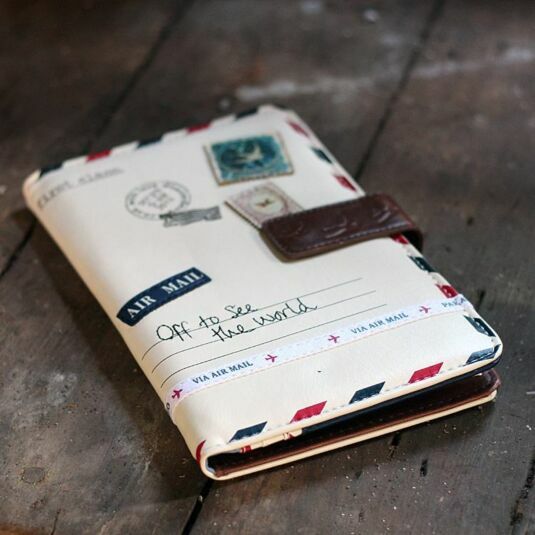 This wallet is truly stunning in design and very practical – it will be your new must-have for any future travel plans, or make a great gift for travellers of all ages, including teenagers, mothers and grandmothers.